DEVON paid for a terrible start against Cornwall as they lost 44-29 at Camborne on Sunday to finished bottom of Pool Four in the National Under-20 Championship. The Green and Whites, hit by a number of late withdrawals to their backline, found themselves 29-0 down after just 22 minutes. But they somehow recovered from that and twice got to within eight points of their hosts before Cornwall sealed the match with a try against the run of play 11 minutes from time. Devon, who included nine Plymouth Combination players in their starting line-up, now face relegation to the second tier of under-20 county rugby. It might have been different for them had key backs Billy Pinkus, Dean Squire, Jordan Petherbridge and Luke Simmons been available. Simmons, who had been due to play fly-half, was injured in the warm-up leaving Devon without a specialist 10 or a goalkicker, which was crucial come the end. Cornwall, who include young Albion development back Ben Stean at full-back, got the perfect start when fly-half Dan Rutter scored a try he converted from a scrum after Devon had lost the ball on their own 22. It got worse for the visitors when prop Tommy Lee Southworth barged over and Rutter converted. Devon then had Devonport Services winger Luke Stannard sin-binned as Cornwall pressed again and while he was off the field the home team scored 15 points. First, Rutter kicked a penalty before he added another converted try. Jack Simmons then added Cornwall’s fourth try on 22 minutes to give them a 29-0 lead. But suddenly Devon, with their powerful forwards making ground and getting on top in the scrum, found their feet and scored three tries before half-time. Cornwall were also lucky not to have been reduced to 14 men as their visitors pressed. Centre Jack Bond got Devon on the board with a try next to the posts that somehow they failed to convert. Rutter kicked a penalty for Cornwall before replacement Hallam Chapman went over for Devon’s second try. 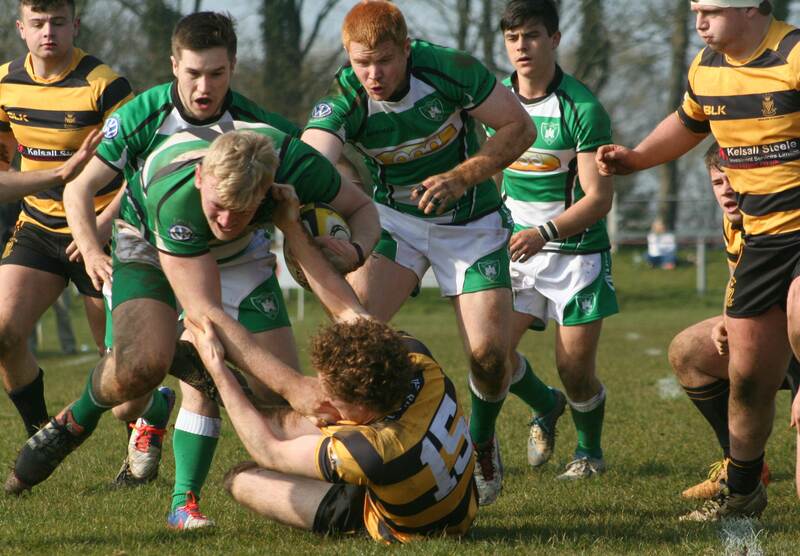 And it got better for the Green and Whites when flanker Tom Bottoms crossed the whitewash just before the interval. Devon continued their dominance after the break and Cornwall had prop Southworth sin-binned. Services winger Stannard then got Devon’s fourth try, but his club team-mate Sam Luke crucially could not convert to get the visitors to within a score. James MacFarlane eased the Duchy’s nerves with a try in the left corner but Devon got back to within eight points when Chapman scored his second. Unfortunately, Devon again could not convert, with Luke hitting the post. And, straight from the restart, Adam Hughes scored for Cornwall, which crucially Rutter converted to put them three scores in front. Devon continued to press and Cornwall were reduced to 14 men again but there was not enough time for them to rescue the game. Devon: Damon Akerman (Ivybridge), Luke Stannard (Devonport Services), Jack Bond (Newton Abbot), Sam Luke (Devonport Services), Noah Nash (Okehampton/Albion), Dom Mulberry (Saltash), Harry Rumens (Sidmouth), Haydon Down (Sidmouth), Joe Daley (Devonport Services), Will Mason (Plymouth University), Jim Massey (Albion), Matt Hanford (Marjons), Tyler Busfield (Devonport Services), Tom Bottoms (Newton Abbot), Jack Rouse (Exeter University). Reps: Josh Mynett (Sidmouth), Richard Hull (Sidmouth), Sean Harrison (Ivybridge), Jordan Watson (Brixham), Hallam Chapman (Barnstaple).